Enter the bronze plaque age! . . . .
not the aluminum age! Don't confuse these massive chunks of genuine bronze in our bronze plaques with the wimpy recycled aluminum can plaques made by cheap labor in some 3rd world country. You may need to track down Charles Atlas to help you get one of these bronze plaques out of the box! Need some sort of message that is out of the ordinary? 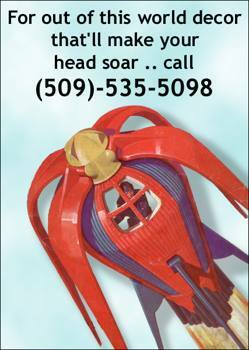 Call us . . . we can probably do it! Note: Things aren't set in stone when it comes to our bronze plaques. We always fax the artwork for your approval before pouring the bronze so you get just the look you want! Looking for another size, shape, or type style? No problem . . . we can make whatever you want! s&h: $19.95 for plaques 80 square inches or less. Bronze plaques shipping costs vary for larger sizes. 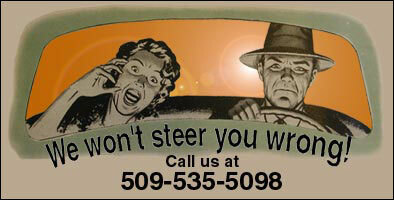 Please contact us for a quote for your specific location. 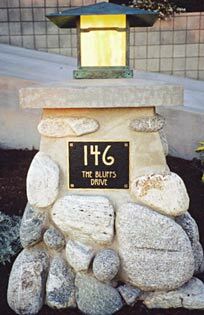 Bronze plaques are a wonderful identifying marker for the front of your home. Your can put your address on one of our plaques. 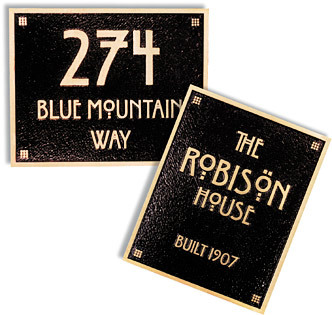 You can state the year that your charming home was built in, on one of our heavy duty bronze plaques. Maybe your dream home is on the National Register of Historic Places. Our bronze plaques are used all over the United States to identify the original owner or builder and the year it was erected. 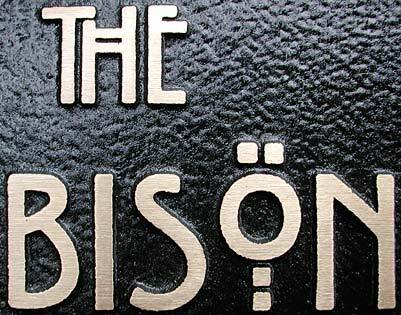 Using one of our outstanding type styles, these bronze plaques are truly stunning and will give you a lot of added curb appeal in a very convenient manner. These are really heavy duty cuties. After all, they are massive chunks of solid metal. If someone hands it to you, you'd better make sure you grab one of these with both hands, otherwise you might just fall over, especially with one of the bigger sizes. These can be mounted in several ways and on many surfaces. Wood, brick, stone, just be sure and talk to your contractor as to the best way to put it in place. When in doubt, it is always best to use a professional.